TOKYO — Former Spain international David Villa will be reunited with former Barcelona teammate Andres Iniesta at Japanese club Vissel Kobe from next season. The 36-year-old striker announced the move on Saturday via YouTube. 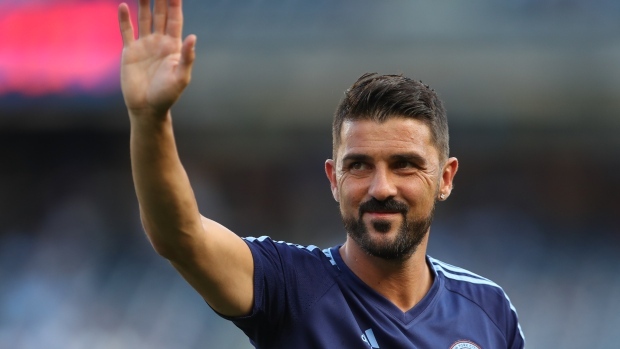 Villa on Wednesday announced he would leave U.S. Major League Soccer side New York City FC once his current contract expires at the end of December. Villa started his career at Sporting Gijon in 2000 before stints with Real Zaragoza and Valencia. He joined Iniesta at Barcelona in 2010, where he won the Spanish league twice and the Champions League. He was also a key member of Spain's 2010 World Cup-winning team in South Africa. Vissel, which also signed former Germany star Lukas Podolski, finished 10th in the J-League first division following a disappointing 2018 season.